Six weeks here and it was high time that I immersed myself in some Zambian culture. 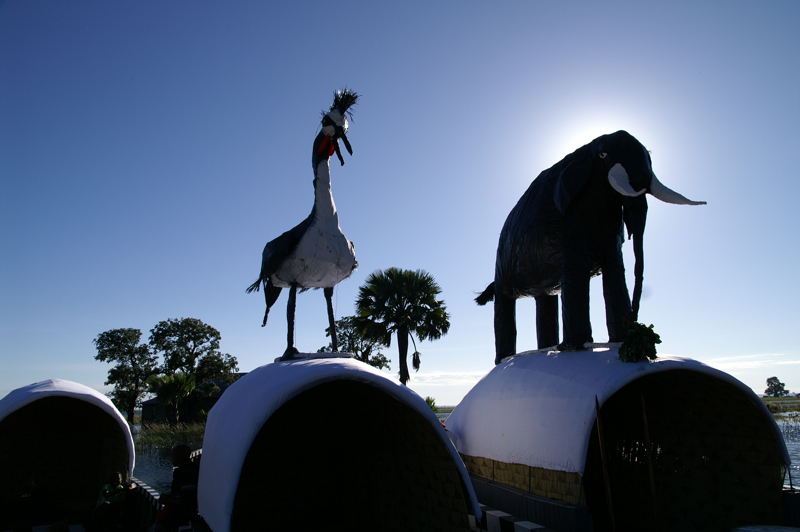 Fortunately Easter weekend means Kuomboka, the largest and most celebrated of all Zambia’s tribal traditions, so off we headed on the long journey to Mongu in the Western Province to join the party. Zambia, like most nations in Africa, is a collection of tribal groupings brought together often by no more than a hasty colonial cartographer’s pen. In Zambia’s case there are 72 tribes all with their own cultures and most with their own languages. 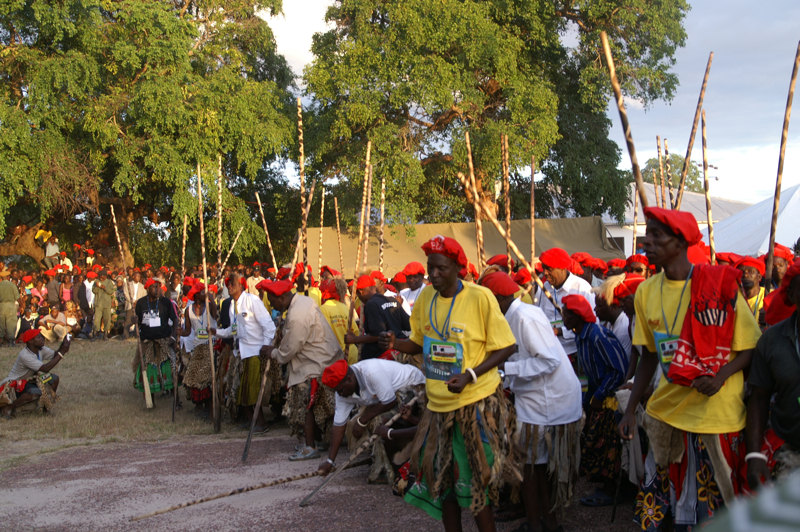 The most prominent are Bemba, Tonga, the Ngoni, Lunda, the Luvale, the Kaonde and Lozi. 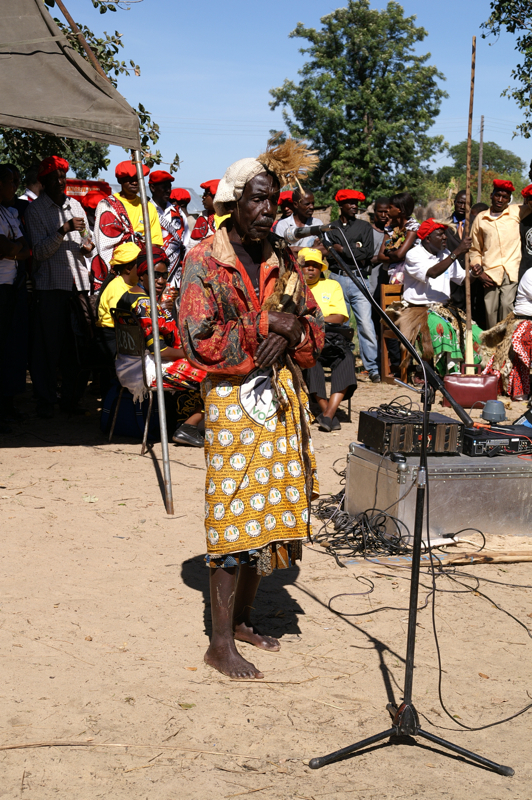 It is a remarkable testament to the peaceable outlook of Zambian people that despite its many constituent tribes there has been no conflict in the history of the Zambian nation. It was to the heart of Lozi lands (Barotseland) that we were heading. Barotseland is now simply referred to as Western Province but it had a significant amount of autonomy during the times of Northern Rhodesia and at early independence. 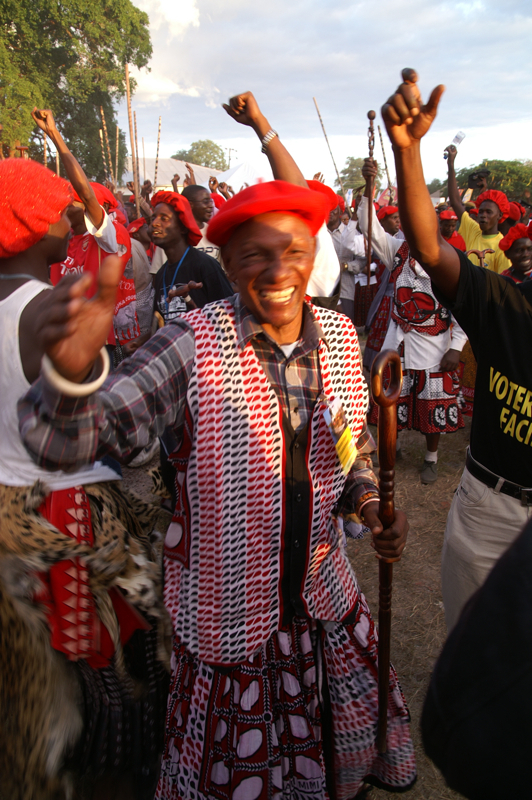 This history does seem to give the Lozi a unique sense of identity and it was my first time in Zambia to hear any tribesmen openly airing grievances against the government of Lusaka. When you see how poorly developed the infrastructure around Mongu is you begin to wonder if they might have a point. 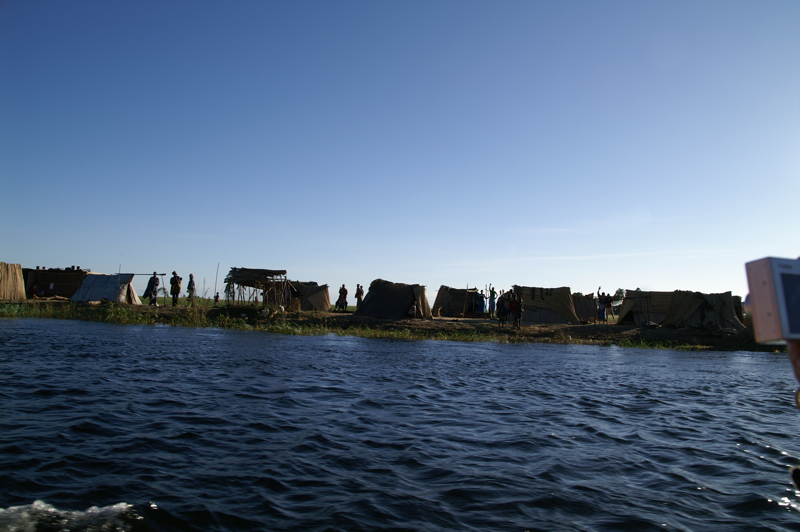 The festival of Kuomboka marks the annual point when the tribal king (the Litunga) must move his palace from the flooded plains to the higher lands until the water recedes later in the year. He does this is suitably royal fashion by packing his entire court into a series of ornate boats which are then oared for 6 hours by his tribesmen to his second residence. Whisper it quietly but these days the Litunga is a rather successful business who lives far from any flooded plain and only comes back for the ceremony. Understandably this angers some of the more traditional Lozi and last years ceremony was shrouded in high security and much drama. In the days leading up to the ceremony leaflets were circulated suggesting that the king was not meeting the needs of his people and should be ceremonially dethroned during the procession. Tradition dictates that should the king be thrown from the boat, he should not try to swim nor should any of the rowers try to save him. In the end, courtesy of a heavy police presence and a swift exit at the end of the ceremony, the plans came to nothing. Regardless of the politics swirling in the background, the final procession made for some fine tribal theatrics. 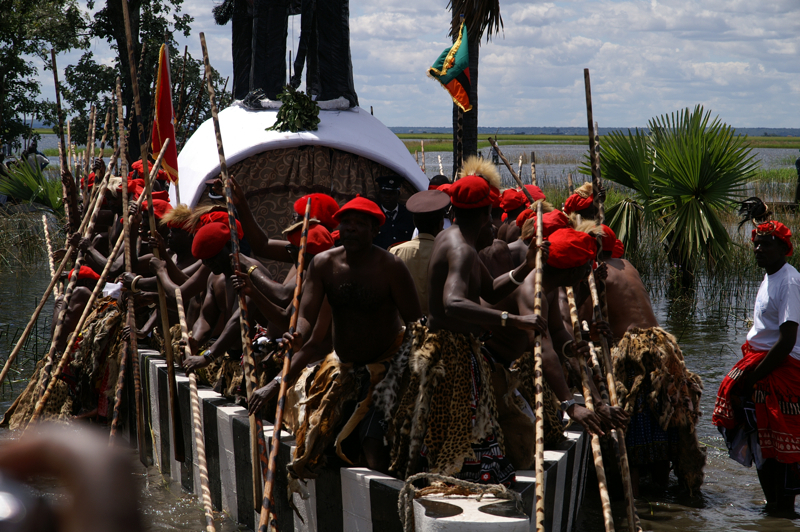 The King emerged from the barge in a uniform presented to him by King George VII in 1902. 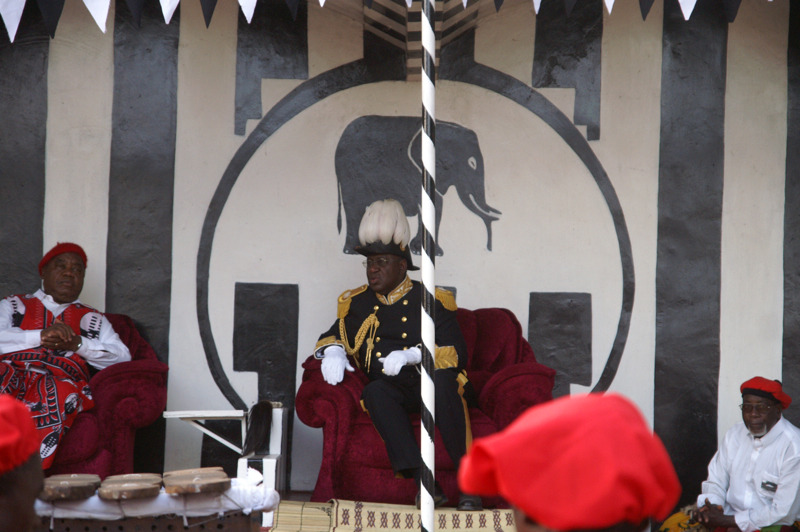 The story has it that the British were decommissioning a series of highly ornate dress uniforms for their ambassadors at the time and Edward felt that this would be a particularly fetching outfit for the Litunga to wear. It certainly leaves you in no doubt as to who is the King, and left the current president Rupiah Banda looking decidedly under-dressed for the occassion. Once on his throne, the many oarsmen and other tribal elders gather around the king and perform a series of dances and expressions of fidelity. This year, perhaps with the whiff of failed regicide still hanging in the air, the king managed to look slightly distracted and maybe even slightly bored during the parade. He and the president chatted throughout, perhaps discussing the need for more support and infrastructure development of Lozi regions or maybe just discussing future business deals, it was very hard to tell. We should recreate this every Easter when we get home. I do hope you sang Tears for Fears throughout.